Brix is designed to be small in size yet big in sound, delivering detailed accuracy and stunning clarity. Versatile for any application, from compact stereo speakers, rear channel speakers in your surround sound system or use in a second zone, Brix are ideal. The two-way bass reflex design features a 25mm textile dome tweeter and a 100mm diameter bass driver. 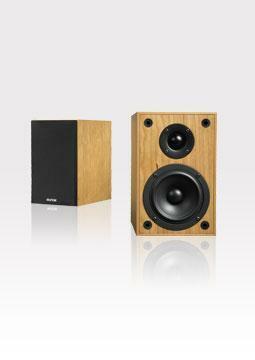 Brix is a little speaker that will offer a dynamic experience. "What was simply stunning was the stereo imaging that?s possible with the Brix 2s, particularly if you stand-mount them around a metre out from a rear wall. With some careful positioning, I was rewarded by a sound field that was almost headphone-like in its spatial treatment of the two channels."